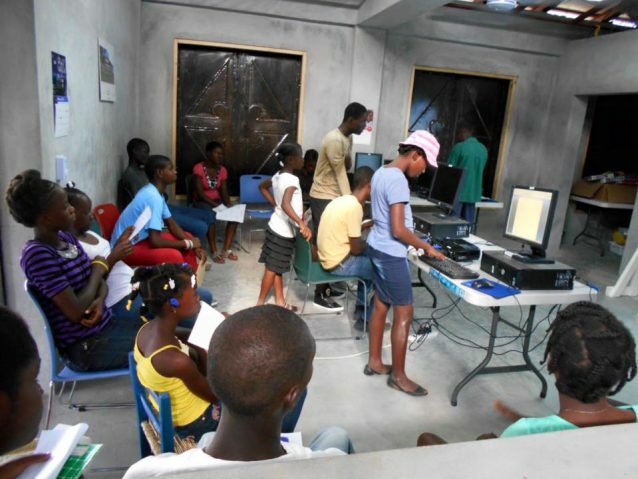 Bibliotheque Communaitaire de Deschapelles opened in January 2016 as a collaborative effort between two volunteer organizations, one in Essex, Connecticut, Sister Cities Essex Haiti, (SCEH), and the other in Deschapelles, Haiti, Organization Developpement Economique et Social (ODES). In order to gather information about the potential impact of the library on the community, a simple baseline study was conducted by ODES members and Toby Simon, of Bryant University in the summer of 2014 before the library opened and again in March and summer of 2017 more than one year after the library opened. 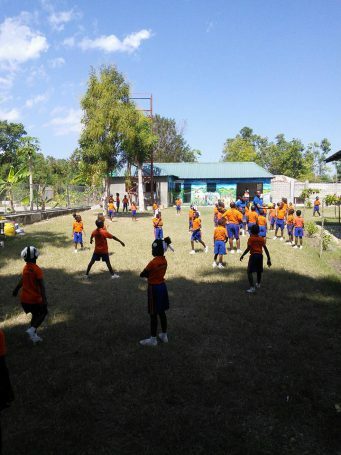 In the summer of 2014, ODES interviewed nine students who they found studying under the street lamps of Hospital Albert Schweitzer and ten students in schools. 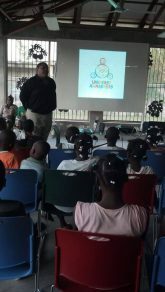 Each group of students reported that they studied under the street lamps 20-25 days per month for 3-4 hours per night. Half of the students said they did so because there was no electricity in their homes or they could concentrate better under the lights. Approximately half had visited a library before and all of them were excited about the prospect of the library in Deschapelles and thought they would use it for studying, borrowing books, research, and conferences. Everyone was extremely excited about the proposed library and expressed a desire for the library to succeed. 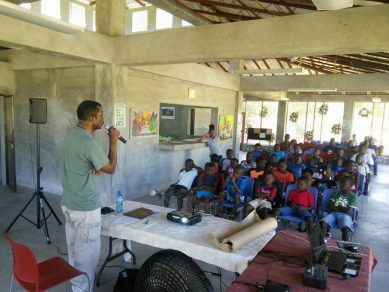 Most of the participants knew that a library was a good resource for the community and a place to read and borrow books, do research attend educational seminars, and have access to computers. 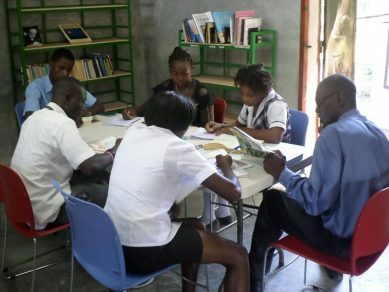 Few had ever visited a library with the exclusion of the HAS focus group many of whom have been able to travel to Port au Prince. 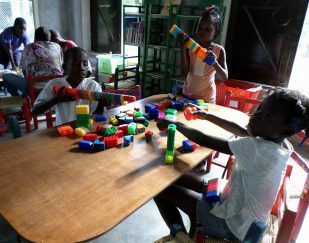 All of the groups envisioned the library helping families, schools and the community; that the library would be a huge benefit for the community and would change peoples’ lives in Deschapelles. 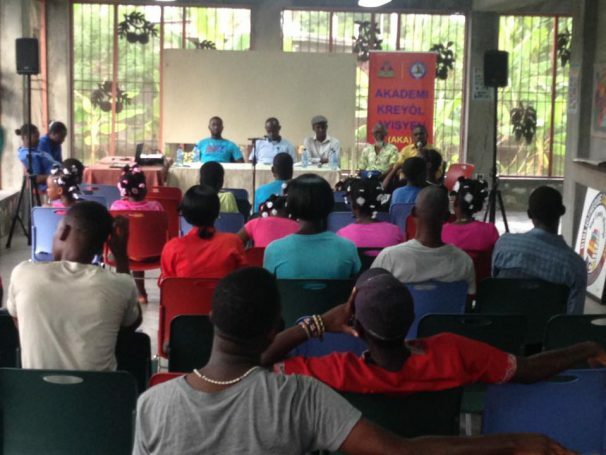 Many of the participants were quite interested in how the library would function in terms of hours, use of books, obtaining a library card, educational sessions, and safety and security. All members of the focus groups were extremely grateful and positive about the library speaking of it as a “sous riches” (a source for enrichment). 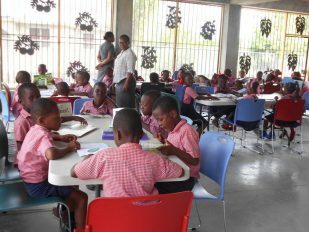 Many of the students and teachers viewed the library as a place to do research of different topics that they are teaching or studying particularly as the library has many books that are not available in their classrooms. Offer literacy classes to encourage more adults to visit the library. Number of visits per month from January-September 2017: 526-885. Full use of the library today!